ශ්‍රී ලංකාවේ නීති ක්‍රමය ආරම්භය පිළිබඳව ආසියානු මානව හිමිකම් කොමිසමේ ප්‍රතිපත්ති සහ වැඩසටහන් පිළිබඳ අධ්‍යක්ෂ බැසිල් ප්‍රනාන්දු මහතා සහ නීතිඥ හර්ෂි පෙරේරා මෙනවිය අතර සිදුවන සංවාදයකි. – A discussion between Mr. 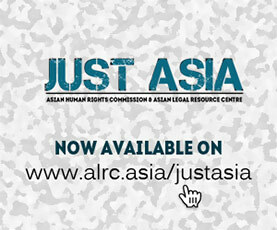 Basil Fernando, Director for Policy and Programme Development of the Asian Human Rights Commission (AHRC) and Harshi Perera, a Sri Lankan lawyer and author on the beginning of the common-law system in Sri Lanka in Sinhala. ලෝකයේ අනෙක් රටවල ජනතාව මෙන්ම ශ්‍රී ලංකාවේ ජනතාවද පසුගියදා මැයි දිනය හෙවත් ජගත් කම්කරු දිනය සමරනු ලැබුහ. කෙසේ වෙතත් කම්කරුවන්ගේ අයිතීන් ගැන හෝ එම අයිතීන් ක්‍රියාවට නංවන වැදගත් ක්‍රමවේදයක් ගැන කතා කරනු වෙනුවට මෙවරද අදාළ මැයි දිනය දේශපාලන අවශ්‍යතා වෙනුවෙන් වෙන් වූ ආකාරයක් දක්නට ලැබුණි. ආසියානු මානව හිමිකම් කොමිසම එහි ක්‍රියාකාරීන් සමඟ එකතු වී මැයි දිනයේ ඉතිහාසය සහ එය ලංකාව වර්තමානයේදී සමරණ අකාරය ගැන කතා කළෙමු. මෙවර වැඩසටහන සඳහා කිෂානි වැලිවිටිගොඩ මෙනවිය, හර්ෂි පෙරේරා මෙනවිය, චිත්‍රලාල් පෙරේරා මහතා, අනුෂා පෙරේරා මෙනවිය සහ යු.එල් ඒ. ජෝශප් යන මහත්ම මහත්මීන් තම අදහස් ප්‍රකශ කළහ. – The people of Sri Lanka have celebrated May day like other countries the World over. However May Day celebrations in Sri Lanka have been changed in terms of the validity of the Day as it has now becomes politically motivated where no one talks on labour rights or the proper way of implementing labour rights. In this week’s radio programme the Asian Human Rights Commission tries to highlight the brief history of the May Day and the current trends of the May Day celebration in Sri Lanka with its local partners. 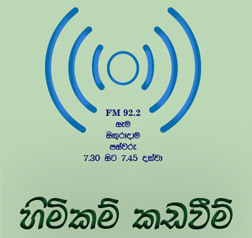 In this programme Ms. Kishani Waliwitigoda, Ms. Harshi Perera, Mr. Chithralala Perera, Ms. Anusha Perera and Mr. U.L.A . Joseph shared their thoughts with our listeners. The eighth chapter of Frederick Douglass’ autobiography and a discussion of it in Sinhala. The seventh chapter of Frederick Douglass’ autobiography and a discussion of it in Sinhala. The sixth chapter of Frederick Douglass’ autobiography and a discussion of it in Sinhala. The first chapter of Frederick Douglass’ autobiography and a discussion of it in Sinhala. A discussion between Mr. Basil Fernando, Director for Policy and Programme Development of the Asian Human Rights Commission (AHRC) and Harshi Perera, a Sri Lankan lawyer and translator of the autobiography of Frederick Douglass. The former slave’s autobiography portrays the story of American slavery in 19th century told through his own life story.